Listonic - How do I copy a list? 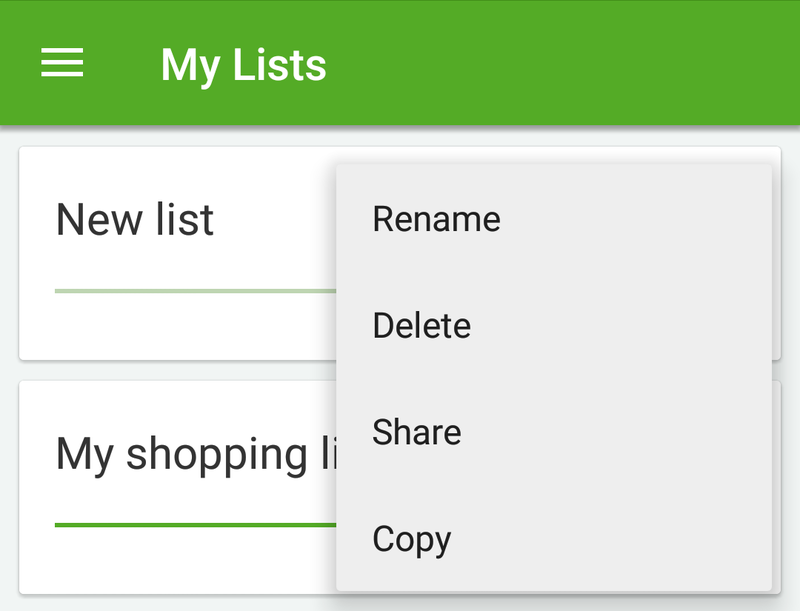 Copying lists is an easy way to move some products from one list to another. 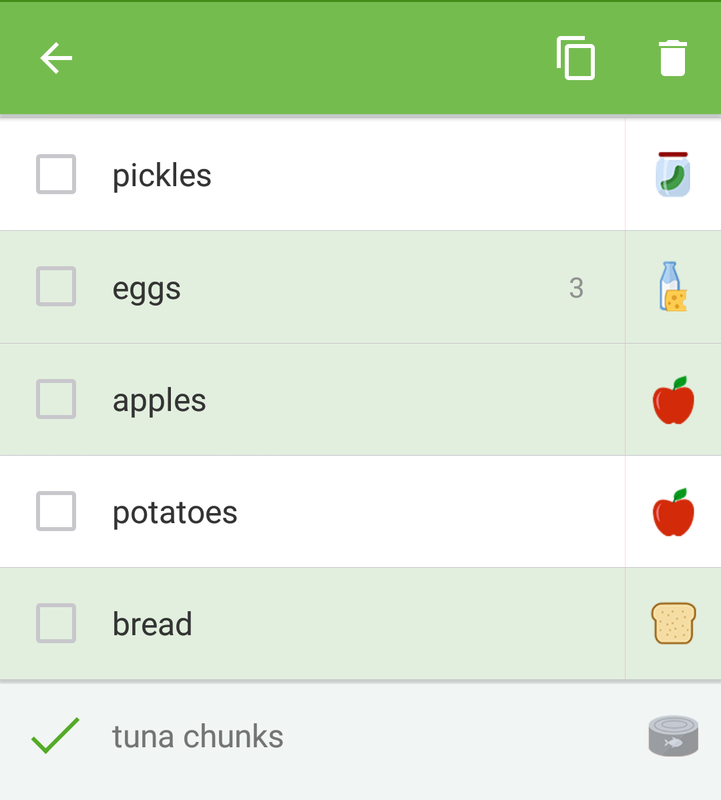 Thanks to this, you can better organize your shopping experience and simply combine a few lists into one. There are two ways to copy a list. Tap the “Actions” (…) button next to the list’s name. 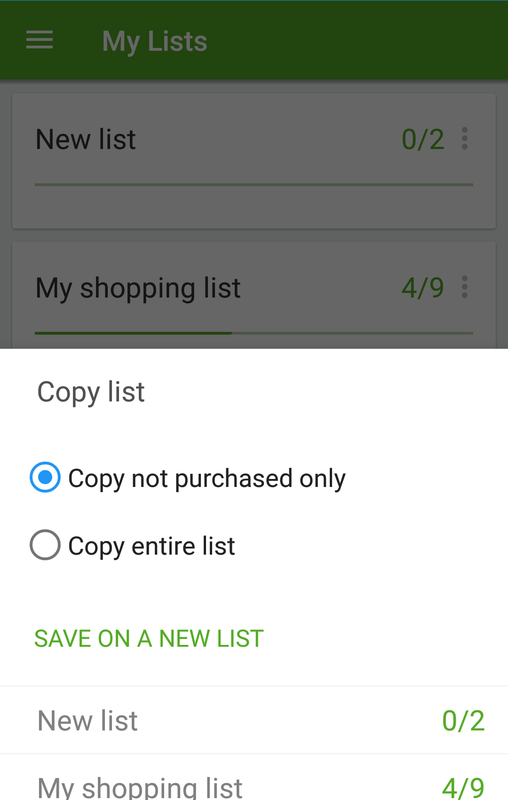 You can choose between two options: copy only not purchased items or copy the entire list. The copied list will have the same name as the original followed by the word “copy. Press and hold the first product until it is highlighted green. Tap all the other items you want to copy. Choose the “Copy” option that appears on the top green bar. From the menu that appears at the bottom, select the list to which you want to paste the items.